Tap enables people with visual impairment, one handed or limited mobility to input quickly, accurately, with full privacy & control. The Tap Alphabet finger combinations are easy to learn with our fun vision-free gaming app called TapAloud available on the App Store. The simple game and mnemonics teach you to tap so quickly you’ll forget you’re learning. In addition to texting, Tap supports Apple’s VoiceOver capabilities. We have created taps for the most commonly used VoiceOver functions. VoiceOver users, can text, navigate and control their phones without ever taking it out of their pockets, perfect when you’re on the go. Imagine answering calls and sending texts by simply wearing earbuds and tapping on your thigh, while your phone stays in your bag or pocket. Tap is a fully one-handed input solution that enables you to input any letter, number, or symbol using just one hand. It works by translating different finger combinations into standard keyboard input. In addition you can activate shortcuts and macros (for example a combination like CTRL C/V) by using simple one-handed finger taps instead of searching for a key or combination of keys on a keyboard. Furthermore – you can use a custom Tap map to personalize any input, hotkey or combination of keys into single finger taps. This allows users to easily use keyboard shortcuts, macros and hotkeys without exerting any effort. Tap integrates seamlessly with iOS’ built in Switch Control allowing users with limited mobility to navigate, input and activate apps quicker than ever before. Creating Switches with Tap enables you to map any switch control to any simple finger tap you are most comfortable tapping. This means you now have the liberty to input in the most ergonomic and comfortable way. Using any surface and in any position. Switch Control allows users to navigate their iOS device, select items with ease, or even emulate complex gestures like zoom and hard press with simple finger taps. These controls are fully customizable to each user and can be set to any finger combination. While Tap already contains the Tap Alphabet by default, you can also easily load and use Customized TapMaps to control, activate, or enhance your existing accessibility software. 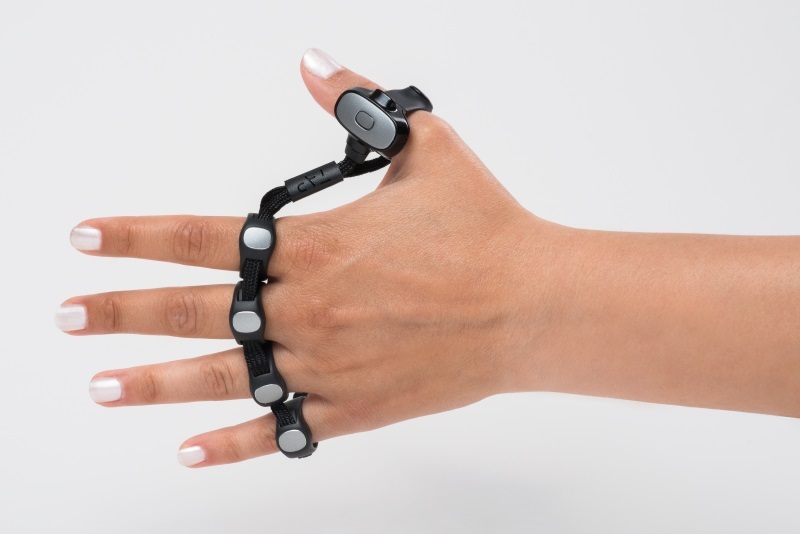 These can be anything from screen readers to your favorite accessible games to play, making it possible to seamlessly interact with your devices. You can choose from existing accessibility maps, create your own, or contact our support team to help make a new custom application for you. In this section of our website you will find accessible downloadable materials for our products.